Cinephilia Productions is proud to announce the 1st edition of Cinephilia BOUND Initiative taking place during the 70th Cannes Film Festival 2017 in collaboration with Maison Des Scenaristes, the International Scriptwriters' Pavilion. Cinephilia Bound aims to facilitate the connection between international producers and screenwriters/filmmakers from the Middle East and North Africa who are working on their first, second or third feature film project. 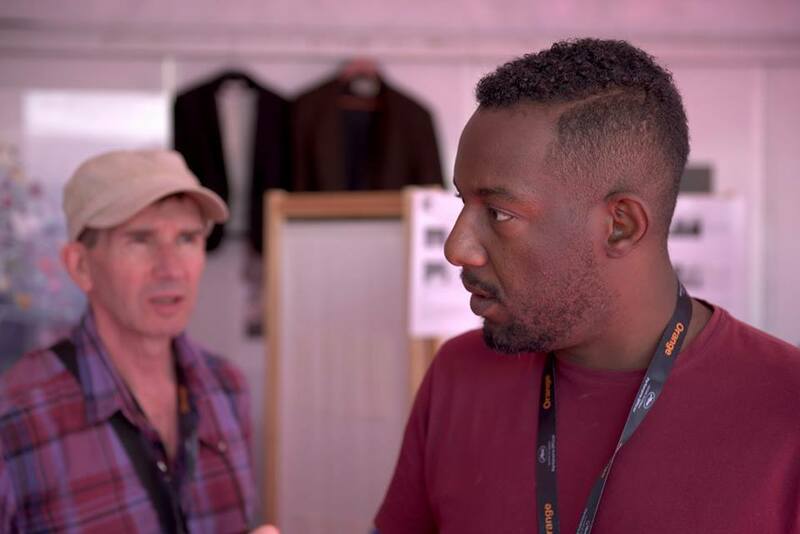 Cinephilia Bound offers the opportunity to filmmakers to attend one of the most prestigious and industry studded festivals to pitch their projects to some of the top producers and to facilitate a dialogue for possible international co-productions. 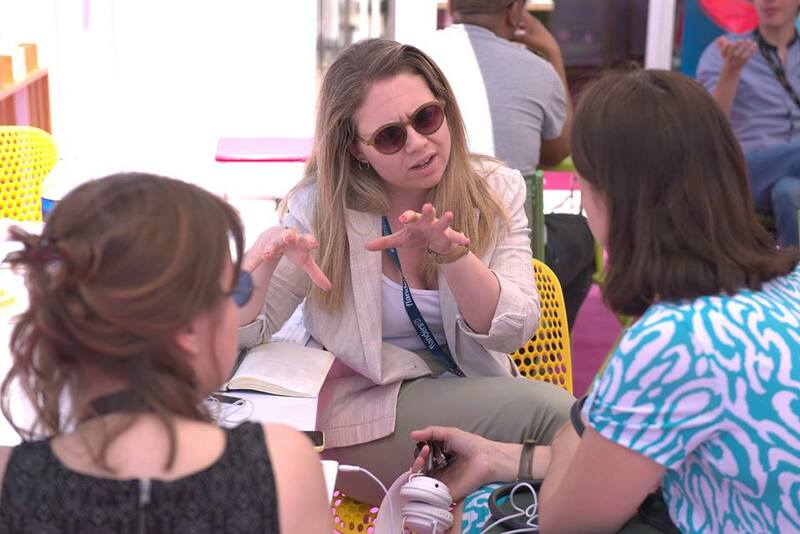 During the 4 days at Cannes, selected filmmakers will pitch their projects, meet producers and festival programmers, attend masterclasses, networking events and parties with industry professionals as well as enjoy a full accreditation to attend all the festival screenings and, of course, an ongoing support from Cinephilia Productions. In a Sudanese village, with a deep obsession of Sufi beliefs and saints, a mother gives birth to a boy Muzamel who she has been waiting for, for a very long time. Only for him to come with the so-called Dervish prophecy that he is going to die at the age of twenty! Photos during the pitching sessions at Maison Des Scenaristes. Photos courtesy of Maison Des Scenaristes. Film Festival, and one of Arab Film Institute representatives. Everything changes for high school student Defne when her father has a stroke. Now, she needs to go back to her hometown and confront him, the one person she avoided at all cost. After his graduation from Boğaziçi University in 2007, Cagil Bocutoglu completed his MA studies on Film Production at London Kingston University. While his short film "Arada" was selected for various short film festivals. His experimental work, "Geçmiş", made it to numerous new media festivals such as Magmart (Italy), Videoart (Greece) and AllArtNow. His first documentary focusing on a British musician, Terry St.Clair, was broadcasted on Britain's prestigious Channel 4. Cagil established the Digital Film & Animation department at SAE Institute Istanbul, part of the world's leading educator in creative media industries, where he would continue his career as Head Instructor between 2010-2013, and give lectures on History of Turkish Cinema & World Cinema, Basic Composition, Visual Language, Camera, Editing, Screenwriting, Production, Copyrights, and Basic Animation. In 2012, Cagil worked as Editing Assistant for acclaimed Iranian director Bahman Ghobadi's feature film "Rhino Season". He has been working as a freelance commercial director and continuing his PhD on Cinema & Television at Marmara University. When the wife and the leading actress of a prominent Iranian filmmaker dies under mysterious circumstances in the middle of the production of his latest film, the director is forced to re-evaluate his life, his relationship, and his work as he learns things he never knew about his wife and himself. Mehrnoush Aliaghaei is an Iranian filmmaker working between New York and Tehran. She received her MFA in film from Columbia University, and her BA from UC Berkeley. She has produced over a dozen short films and is the writer of three feature scripts. Scheherazade, a short film that she wrote and directed, screened at over twenty five international film festivals and has won seven awards including Best Short Film at Champs-Elysées Film Festival. She is the co-founder of Maaa Art a film and theater company that develops and distributes works by immigrant artists. She has written and directed several promotional videos for Maaa Film. Additionally, she has written and produced two plays for Maaa Theater, which were staged in New York, San Francisco, and Dallas. Mahin Sadri (Co-Writer) is a prominent Iranian playwright, director and actress. Her play, A Bit More Everyday, won the Best Playwright Award at 2014 Tehran International Fadjr Theater Festival. Three of her plays have been produced and performed at various festivals. She has also been collaborating with Amir Reza Koohestani, the celebrated Iranian playwright and director for the past decade appearing as the leading actress in a dozen of his plays with over four hundred and fifty international performances including the Avignon and New York’s Under The Radar Festival. The story of young and talented rapper Fehmi, set in Istanbul’s slum Sulukule - a neighborhood known for it’s dark and dangerous streets that actually has a a vivid Hip-hop subculture. Fehmi chases his dream of becoming a famous rapper while struggling to maintain a tough relationship with his unlikely lover from the upper class, yet Fehmi’s addiction to the deadly drug bonzai jeopardizes it all. Born and raised in Turkey, Nisan Dağ graduated from Columbia University’s MFA Film Directing Program in 2013 as a Fulbright scholar. The shorts she directed in New York screened at festivals such as Cinequest, Indie Memphis, Thessaloniki and Antalya Film Festival. Her feature film debut ‘Across The Sea’ attended Les Arcs Co-Production Village during development. The film won Best Director at Milan International Film Festival and Audience Award along with Jury Mention at Slamdance Film Festival. At Adana Golden Boll, the film won six awards including Best Director. 'Across the Sea' screened at more than 20 festivals including Warsaw, Raindance and Istanbul Film Festival and had national theatrical release in 2014. Later, Amazon in the US and a major Turkish TV network acquired the film. Nisan directed the Turkey episode of the MTV Documentary Series ‘Rebel Music’ at the slum Sulukule, which aired on 2015. She then directed a documentary for Goethe Institut called ‘From Syria to Sulukule’. She’s the co-founder of the feminist filmmaker collective Film Fatales Istanbul. Nisan currently directs commercials and works as a script consultant in the industry. Her second feature ‘Bir Nefes Daha’ will be filmed at Sulukule and it’s currently in development. When Farid, a 60-year-old man living abroad, visits his wife Aida for a few days at their Lebanese mountain house, he learns that their 16-year-old dog had died earlier in May and no one had told him about it. Soon, tensions arise as the old dynamics of the couple resurface, and Farid confesses he’s returning home for good. Sarah grew up in Beirut and graduated from IESAV (Université Saint Joseph, Beirut). Since 2005, she has been working as a freelance director for many regional production companies and has participated in several workshops and labs (Seoul, Copenhagen…). Her feature documentary Birds of September (2013) screened in many international festivals and museums (CPH:dox (Copenhagen), Art of the real (Lincoln Center, New York), Dubai film festival, Stedelik museum (Amsterdam) …) and won 5 awards. Her works include short videos: Nawal’s rituals (Toukous Nawal), a video produced by Ashkal Alwan videoworks 2014; and All the temporary, quick notes on home (2016); she is currently developing a script with the support of Asian cinema fund. 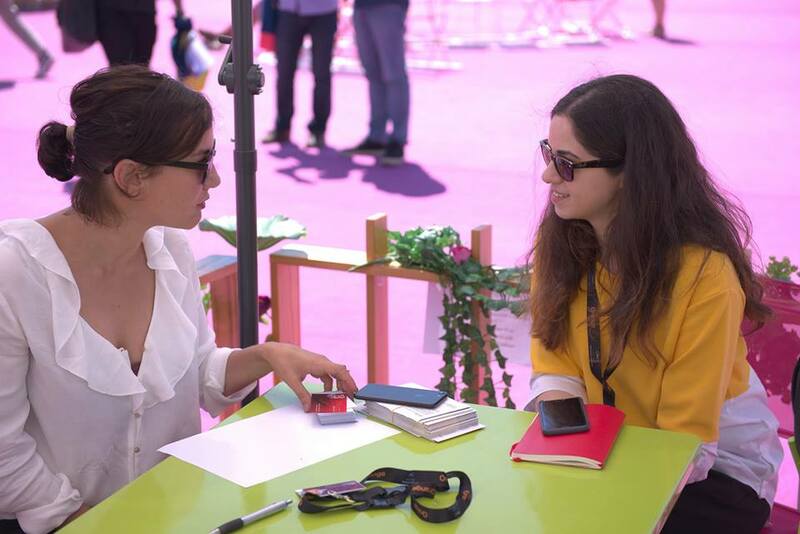 For our 1st edition of Cinephilia Bound Cannes, we have received 113 projects, narrative and documentary, from all corners of the Middle East and North Africa. We are pleased to announce 12 finalist projects that have shown originality in their storytelling and high cinematic quality. Maison des Scénaristes is a french non profit organization created in 2011 by authors for authors. The first ever Screenwriters' Pavilion opened at the 2012 film market at Cannes Film Festival. MDS is supported by the SACD and the WGA. Maison Des Scénaristes aims to promote authors, help them deliver their best stories from wherever they come from, select authors with gifts, help them deliver their best and find visibility, offers emulation, artistic and legal support, one-on-one meetings with producers at International Film Festivals like Cannes Film Festival and Clermont-Ferrand Film Festival. MDS welcomes authors in residence programs to help them to improve their scripts with script-consulting and script-doctoring with the best professionals, holding masterclasses with authors who have films in competition at festivals. Since 2012, Maison Des Scénaristes received about 1800 projects, selected 176 of them. So far, 55 authors have signed contracts after pitching at Maison des Scénaristes Authors-Producers meetings.